WEDNESDAY TREAT. – Hello? I Forgot My Mantra. Published on December 4, 2013 by i forgot my mantra. At work on Monday, when everyone was all agog over Paul Walker dying in a car accident, we started talking about other movie stars who died while filming movies. James Gandolfini’s name came up. Heath Ledger came up. And, naturally, I piped up with James Dean. And was met with blank stares. 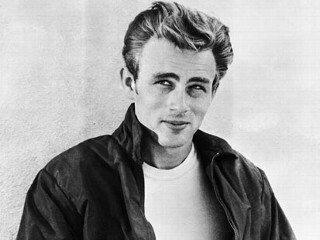 People should know James Dean because they sell his posters at Target. Duh. The Decline of Civilization is upon us.